USA President President Donald Trump is considering to end preferential trade treatment, called Generalized System of Preferences (GSP). Markedly, the programme permits US $ 5.6 billion worth of Indian exports to enter the US market ‘duty free’. India is also the beigest beneficiary of the GSP status in the world. In case the US ends its special treatment, India would suffer a setback in exports for the year ahead. The US-India trade ties have already got bitter post the new FDI rules announced by the Indian Government which restricts foreign firms’ roles in the India retail market. One to have suffered is the world’s biggest physical retailer Walmart Inc., which has spent US $ 16 billion in acquiring Indian ecommerce firm Flipkart. Higher tariffs on products imported from the USA to India have also hurt the US sentiments. As per the data reported, the US goods and services trade deficit with India stood at US $ 27.3 billion in the year 2017. This seems to have irked Mr. President. 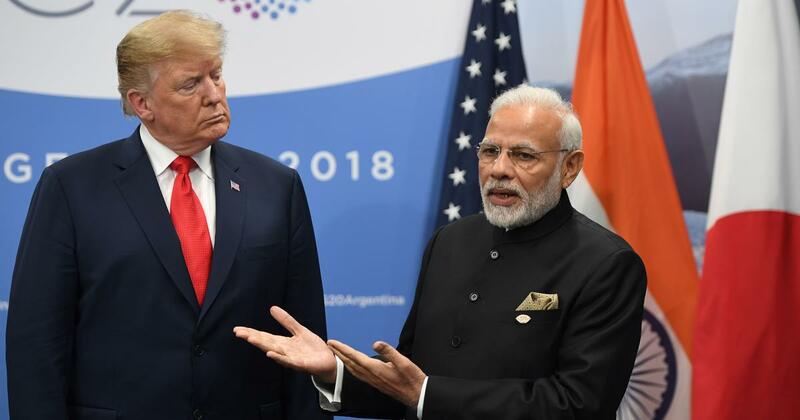 The US Trade Representative’s Office has hinted that dropping India from the Generalized System of Preferences programme would not take effect for at least 60 days once notifications are issued to the Government of India in this regard.